June 2018: What is happening to Kelowna Real Estate? What is happening to the HOT market we had? Our 4th and 5th win! We are so incredibly proud to be a part of such a vibrant community and we are grateful for your continued support. Thank you for your help! 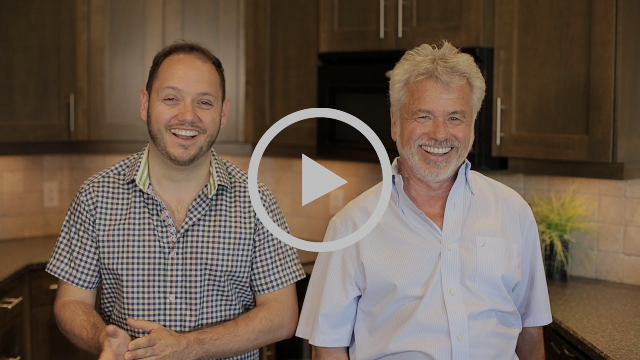 Where are we going in the Kelowna Real Estate Market? Kelowna did slow down, but is certainly not stalling. For single family homes, we are no longer in a seller’s market, but with over 20% of inventory selling and the average price holding steady at over $700,000, we are very well positioned in a solid balanced market. Historically, May sets the pace for the rest of the year, so we expect this year also to finish in a balanced market. If you can predict what Trudeau will do with the interest rate, Horgan with speculation and housing tax, and above all Trump with the trade war, then we could possibly tell you what the market will do looking forward. Sales across all segments are down over 2017. 2017 was the second strongest May in 25 years, so it’s no surprise that sales are down. Currently, there are 1,069 active listings, which is 36% higher than this time last year, but is still below our 10 year average of 1,400. Listings vs. Sales 22% of the listing inventory sold in May. This puts us in a healthy balanced market. The Average Price is still climing! At $723,247, single family homes are the most expensive they’ve ever been. 31 lots sold on MLS out of 385 available this May which makes it an 8% sell to inventory ratio. The average price came in at $286,791. 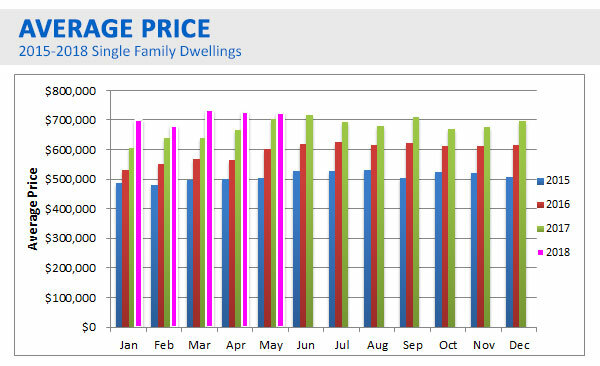 Price Pressure Continues on Lower-Prices Housing the Capital Regional District. 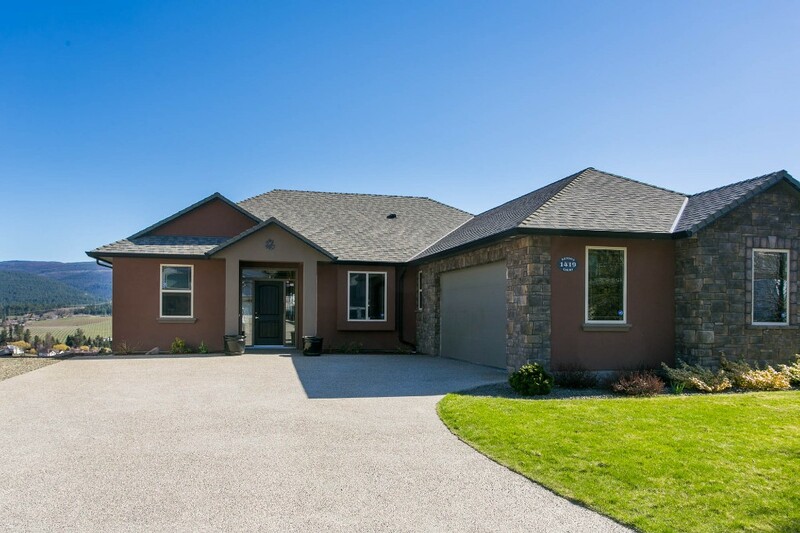 A total of 755 properties sold in the Victoria Real Estate Board region this May, 25 percent fewer than the 1,006 properties sold in May of last year. The sales of condominiums were down 17.4 percent from last year in May with 237 units sold. Sales of single-family homes were down 23 percent from 2017 with 406 sold this May.”It’s no surprise that our current market is very different than it was last year,” says Victoria Real Estate Board President Kyle Kerr. The MLSÂ® Home Price Index benchmark value for a single-family home in the Victoria Core in May 2017 was $820,800, while the benchmark value for the same home in May 2018 increased by 7 percent to $878,100. The Real Estate Board of Greater Vancouver (REBGV) reports that residential property sales in the region totaled 2,833 in May 2018, a 35.1 percent decrease from May 2017.There were 6,375 detached, attached and apartment properties newly listed for sale on the Multiple Listing ServiceÂ® (MLSÂ®) in Metro Vancouver in May 2018. This represents a 5.5 percent increase compared to the 6,044 homes listed in May 2017. The total number of properties currently listed for sale on the MLSÂ® system in Metro Vancouver is 11,292, a 38.2 percent increase compared to May 2017 (8,168) The total number of listings available today is 17.2 percent below the 10-year May average. For all property types, the sales-to-active-listings ratio for May 2018 is 25.1 percent. By property type, the ratio is 14.7 percent for detached homes, 30.8 percent for townhomes, and 41.7 percent for condominiums. The MLSÂ® Home Price Index composite benchmark price for all residential properties in Metro Vancouver is currently $1,094,000. This is an 11.5 percent increase over May 2017. 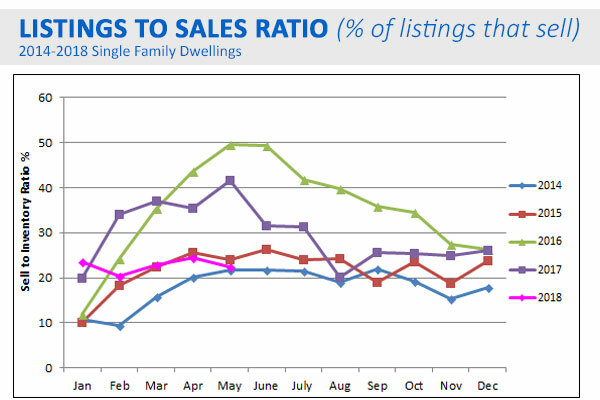 May sales activity continues to ease with the largest declines occurring in the detached sector. Additional gains in new listings continue to increase inventory levels. 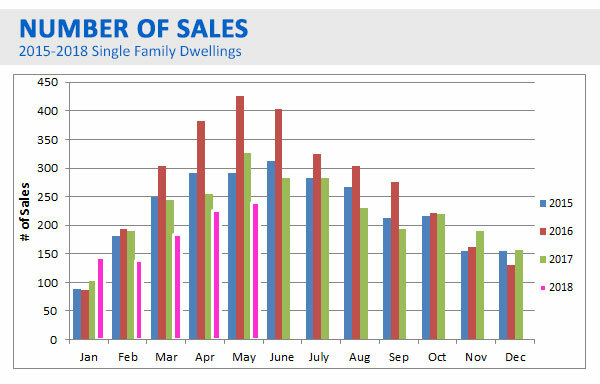 City-wide sales activity in May totaled 1,726 units and is 19 percent below last years’ levels. This is 24 percent below long-term averages. Sales activity in the detached sector declined to levels not seen in over a decade. “The impact of rising lending rates and stricter qualification levels is causing demand to ease across all product types,” said CREBÂ® chief economist Ann-Marie Lurie. Market supply has not adjusted to sales activity and is pushing months of supply to 4.9 months. 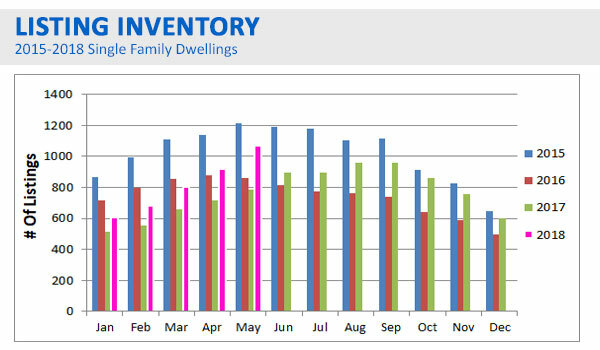 In the Edmonton Census Metropolitan Area (CMA) in May 2018, month over month unit sales increased in all property categories. Year over year unit sales for single-family homes decreased 3.86%, condominium sales increased 1.12% and duplex/rowhouse sales decreased 12.06%. In total, there was 1,776 MLSÂ® System listed properties sold in May 2018, which is a decrease of 3.64% compared to May 2017. The average price of a single-family home was $442,348, an increase of 3.08% month over month and an increase of 0.40% year over year. Greater Toronto Area REALTORSÂ® reported 7,834 sales through TREB’s MLSÂ® System in May 2018. This result was down by 22.2 percent compared to May 2017. While the number of sales was down year-over-year, the annual rate of decline was less than reported in February, March, and April, when sales were down by more than 30 percent. Supply of homes available for sale continued to be an issue. New listings were down by 26.2 percent. The fact that new listings were down by more than sales in comparison to last year means that competition increased between buyers. Recent polling conducted by Ipsos for TREB suggests that listing intentions are down markedly since the fall. The MLSÂ® Home Price Index (HPI) Composite Benchmark was down by 5.4 percent year-over-year. The average selling price for all home types combined was down by 6.6 percent to $805,320. UNOSBSTRUCTED VIEWS of Kirschner Mountain, orchards & valley twinkling city lights. Amazing location on QUIET CUL DE SAC with a big FLAT DRIVEWAY, dble garage & space for LARGE RV on a .27 acre view lot. YES! The children can play here and enjoy the outdoors in this wonderful neighborhood. 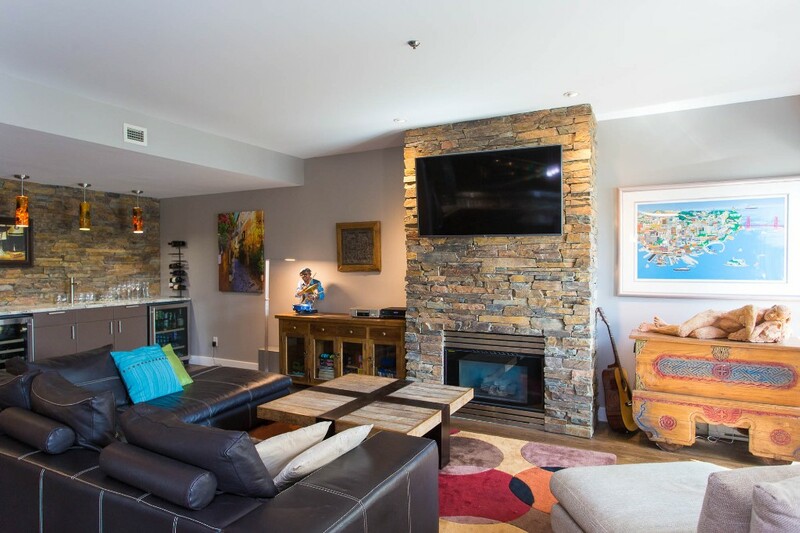 This Great Room open plan 4 bedroom RANCHER w/ FULL WALKOUT BASEMENT offers gorgeous hardwood floors, huge windows & 9ft ceilings + vaulted ceilings. 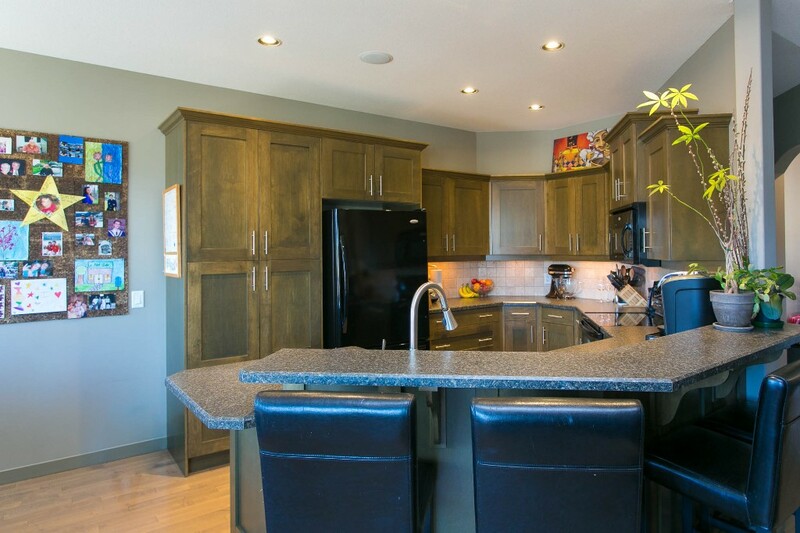 The great step saving kitchen has espresso finish maple cabinetry & is within easy reach of the eat-in bar & huge view nook & decks to better take advantage of the panoramic views. The main level offers 3 bedrms inc. the master suite with walk-in closet, lge 4 pc ensuite & garden glass door to deck. The lower level has a 4th bedrm, 3rd bath & massive 36×20 rec. room with a big wet bar. In addition there is a bright familyrm, workshop area & partly finished 20×20 theater room with R/I wiring. Inc A/C, alarm, hot tub, satellite dish, 9 zone B/I speakers inc deck & patio + 9 zones U/G irrigation. Fenced yard, irrigated raised vegie beds, herb garden & berries… is the gardener’s dream. Fantastic location near Black Mountain Golf Club, 15 minutes to downtown, beach & 35 mins to Westridge lift. Summer or winter sports you enjoy, shopping or the arts, its all in easy access just few minutes drive from your new home. More photos and information available here. ← April 2018: Signs of a shift in Kelowna Real Estate?